The Butterfly Effect, Complexity & The $650 Trillion LIBOR Manipulation? Occasionally advertising strap-lines do ring 100% true? If one listens to the former CEO of Barclays, Bob Diamond, at the Treasury Select Committee hearing in the British parliament, one might be forgiven for concluding that the LIBOR scandal which has involved Barclays and, which might possibly spread to engulf the entire banking sector, was but a small blip by a small team in a relatively specialised segment of the marketplace. However, the traders' emails and text messages that were made public as part of a $450 million settlement of Barclays with US and UK regulators, suggest that interest rate swaps traders in New York and London asked Barclays employees and employees at other banks to move rates in directions that benefited their trading positions, according to the bank's settlement with the Commodity Futures Trading Commission. Indeed the scale of the fine imposed amounted to little more than two weeks' profit for the super-bank, which would probably do little to convince the general public that the transgression required little more than a slap on the wrist. However, Barclays is still counting the cost of its reputational damage. 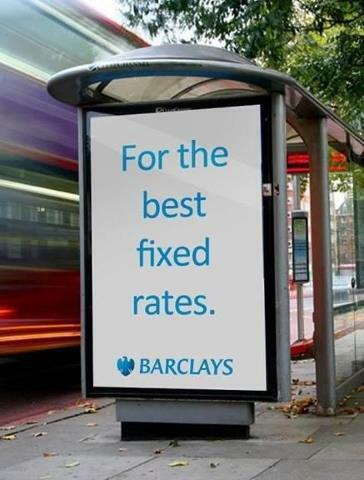 Class action law suits against Barclays and other banks accused of rigging LIBOR may follow in the near future. Financial DNA: $650 Trillion Manipulation? LIBOR is hardwired into the DNA of financial market instruments and underpins trillions of dollars worth of financial transactions around the world including credit lines, bank over-drafts, mortgages, credit card rates and the value of complex derivatives including interest rate swaps. The LIBOR scandal amplifies the argument of those who feel that the global financial markets are simply a rigged casino game where the house -- also known as the world's largest banks -- always wins. Reading the text messages and emails between traders at Barclays about their often successful attempts to manipulate global benchmarks for interest rates is only likely to reinforce those beliefs. Those traders not only influenced the pricing of LIBOR but that benchmark then may influence or dictate the pricing of up to $650 trillion worth of swaps -- complex derivatives -- according to the Bank for International Settlements (BIS) data and several other key benchmarks between 2005 and 2009. Yes, $650 trillion is written $650,000,000,000,000 and that amounts to more than 10 times the entire world's annual output! A one basis point manipulation in that number is still equal to $65 billion which is written $65,000,000,000! Now there will be offsetting positions as well as back-to-back positions and not all those swaps key off just from LIBOR but it sets the ballpark for the quantum of manipulation involved. In addition, this action sends false market signals and creates a false market in one of the key planks of the global financial system. This is a terrible lapse of the moral compass and contributes in "unknown unknown" ways to cascading risks which produce butterfly effects! In a financial world built on the conception that market-based economics can provide accurate pricing for any kind of instrument, product or service, the LIBOR manipulation scandal serves as a stark warning. Of course no one in the trenches of the global financial markets REALLY believes in this platonic ideal of the perfect markets and perfect pricing, but trust -- and a certain amount of self-delusion -- remains key and events like this serve to remind us of the reality that, left to themselves, markets will not simply operate efficiently, ethically or in everyone's best interest but seek to maximise profits by extracting unreasonable rent for their major participants. The reason that this can happen is that a few financial players with concentrated power for derivatives issuance can easily distort the entire financial landscape. It is important to note that public policy is largely based on free market economics, which for all practical purposes has ceased to exist. It is clear that the manipulation or disturbance of any complex system caused by any natural or man-made event is more than the flapping of the butterfly's wing, which represents but a small change in the initial condition of the system. Given the change that the unprecedented LIBOR manipulation is bringing about in perception within the global financial ecosystem, this might cause a chain of events leading to substantial large-scale phenomena. Had this butterfly not flapped its wings, the trajectory of the system might have been vastly different. We know complex systems to be “robust yet fragile”, meaning that a sophisticated network like the global financial system can prove to be resilient in the face of shocks but it can also prove to be remarkably fragile. Shocks like the manipulation of LIBOR test the fragility of the whole system -- risking “black swan events” -- unnecessarily. "As is the human body, so is the cosmic body. As is the human mind, so is the cosmic mind. As is the microcosm, so is the macrocosm. As is the atom, so is the universe!" according to the Upanishads, some of which date back nearly 3,000 years. Possible worlds, complexity theory and alternative reality scenarios are normally the exclusive domain of philosophers, complexity scientists and quantum physicists, but such tricky concepts also often lend themselves well to the accessible narrative of what is happening with increasing frequency in our globalised world. As we push at the boundary conditions of our financial and physical limits -- consuming as if there were 2.4 planets at our disposal as opposed to one -- one wonders where the incentives might come from? We are inevitably having to wander further and further away from our ethical and moral compass to exploit the common man, humanity at large and the earth's limited resources in order to pay economic rent directly or via distortions introduced by the incumbent large financial market participants. This is a cultural degradation issue and the LIBOR scandal is but one latest manifestation of it. 1. The discovery of "Deterministic Chaos" brought about "one of the most dramatic changes in humankind's view of nature since Sir Isaac Newton," concluded the committee that awarded Lorenz the 1991 Kyoto Prize for basic sciences. The "Lorenz Attractor" is a relatively simple attractor with non-linear behaviour. This becomes the typical characteristic of chaos: the step by step manifestation of non-linearity out of simplicity. 3. Every day things are chaotic, chaos leads to creative-destruction and life. Chaos theory has since given way to Complexity theory, which reinforces some of Lorenz’s findings. Complementary to Lorenz’s work on chaos, Duncan Watts has made strides in understanding how small shocks in parts of complex systems can cascade across a whole system. Global cascades were made famous by Watts in his paper “A Simple Model of Global Cascades Across Networks” in 2001. Watts also pointed out that a complex system can be “robust yet fragile” in the face of shocks. This paradoxical feature of complex systems illustrates how some shocks can ripple across systems, causing the whole system to change forever; or they can be absorbed by the system, which might only wobble slightly and settle back into the status quo. Lorenz and Watts' discoveries continue to influence the scientific world, which has yet to grasp the implications fully. Complex systems have been recognised in all branches of science. As mathematicians started to unravel its mysteries, science reeled before the implications of an uncertain world intricately bound up with chance. The human heart is complex, as indeed are the financial markets, the solar system and of course the weather. In fact the more we learn about complexity the more closely it seems to be bound up with nature. Fractal structures seem to be everywhere we look: in ferns, cauliflowers, the coral reefs, kidneys etc. Rather than turn its back on complexity, nature appears to use it and science is now doing the same. When will large scale corporate capitalism and government regulatory structures and institutions metamorphose to understand and to embrace the butterfly effect and so that we may live more sustainably in our complex social systems? When each one of us changes! Mahatma Gandhi said, "As human beings, our greatness lies not so much in being able to remake the world -- that is the myth of the atomic age -- as in being able to remake ourselves!" 1. Transparency: We are living in an age of extreme transparency and the old manipulated beliefs and systems are looking increasingly obsolete. Mobile telephones with cameras, video recording and text messaging; computerised records and emails; as well as twittering social media; all leave legacy institutions, their culture and their stakeholders with nowhere to hide. The ancient Hermetic axiom, from about 2,300 years ago, suggests, "As is the inner, so is the outer; as is the great, so is the small; as it is above, so it is below; there is but One Life and Law; and He, that is worth it, is One. Nothing is inner, nothing is outer; nothing is great, nothing is small; nothing is high, nothing is low; in the Divine Economy." 2. Interconnection: We and our planet are an exquisitely arranged and interconnected system within this vast universe. What changes in one way for this complex non-linear dynamical system is going to have consequences for all of us in so many unknown ways. Complexity theory is not about disorder, it is about very sophisticated systems of self-organisation and Self-Assembling Dynamic Networks -- SADNs -- living along-side creativity. The very connection, contact, or interconnections between the earth, nature, all living beings including people, societal structures and man-made machines create conditions where even the smallest point of interaction can have non-linear or seemingly chaotic and very large outcomes! This raises fundamental questions about our responsibilities to the whole, ie, to each other and to the ecosphere. 3. Survival: Our challenge as seven billion inhabitants on one planet -- if we seek not to perish because of short term greed -- is to try and figure out that our small actions have a consequence, no matter how small our allotted space might be. Discipline and responsibility ought to be the watchwords for our controlling levers in terms of what we desire, what we accept by way of manipulation for short term gain and what we consume. Consumption and demand affect procurement and supply, which means extracting more and more resources without thinking of the global eco-system as a unified habitat for other living creatures beyond ourselves and our future generations! 4. Brink: Do we only change when we are pushed to the brink by unpredictable events that threaten our way of life and survival? We still have a lot to learn about how nature is complex and utilises complexity, but perhaps unpredictable behaviour is not altogether undesirable! As Henry Adams, the famous American historian, once said "Chaos often breeds life, when order breeds habit!" 5. One World: Financial market complexity has reached a point in its evolution such that what the Roman philosopher Cicero observed more than two thousand years ago, "Everything is alive; everything is interconnected!" or "Omnia vivunt, omnia inter se conexa!" is more true now than ever before. If so, every action has the potential to change the infinite play's next scene and this is the context in which one has to view the LIBOR manipulation. Mahatma Gandhi said, "Our beliefs become our thoughts. Our thoughts become our words. Our words become our actions. Our actions become our habits. Our habits become our values. Our values become our destiny!" If so, what are we doing to change our actions so that we may influence our one world destiny in a more constructive way? 6. Trust Hologram: Fiat money to a large extent does not represent tangible value, only a promise to pay the bearer. The concept of money is therefore largely based on trust. What we have seen in recent years is this trust eroded to the point where all the parties concerned are increasingly forced into a zone of "learned helplessness". When faced with helplessness human beings either shutdown and operate with minimal senses in "survival mode" not engaging with the world or they develop increasingly more sophisticated ‘fantasy worlds’ to escape in to in the belief that they will be "safe" in these places of distraction. The reality is that they can never be "safe" and addressing each of these fantasy worlds has a less than 20% chance of success as new displacement instruments are being created as fast as the old one are challenged. The only solution is to go back to the basics of honesty, integrity and plain dealing, which are the founding Quaker principles of Barclays. Interestingly, Bob Diamond did not remember those principles when asked by the UK parliamentarians, although he said, "I love Barclays!" several times. One wonders what he loves if he can't remember the Quaker principles. 7. Sustainability: Will the world wide cascading consequences of LIBOR manipulation lead to more sustainable patterns of banking behaviour and "culture" at banks? What of their insatiable search for ever large profits? What are the implications for our consumption and production patterns as markets and key indices are manipulated? These are some of the key questions of the 21st century, which hold the potential to metamorphose our civilisation towards redemption or annihilation as we progress towards this world wide summit together. 8. Caution: Make no mistake that complex financial systems are not just about butterflies because if they crash they can take down humankind's achievements in their entirety.